It’s been a while since I shared some Spraypaint Love! If you missed the previous posts – here are #1 and #2. It is now perfect spraypaint weather, so I’ve had my drop cloth set up in the backyard on several occasions lately. The first was not one that I set out to paint, but sometimes you have to do it. 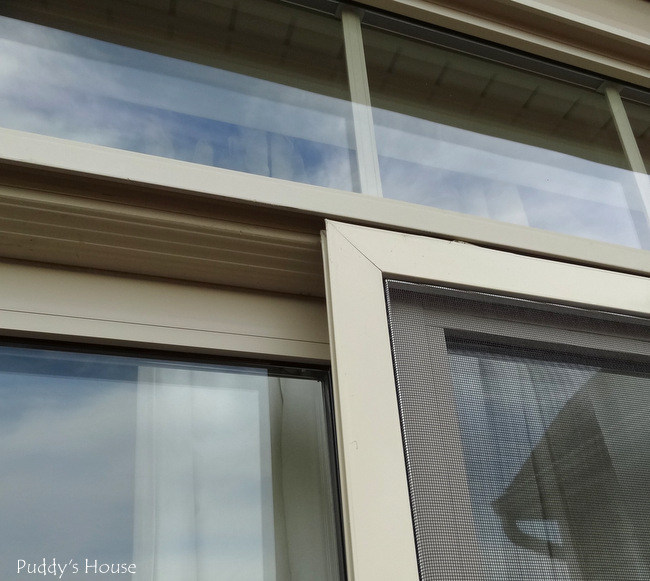 We needed a new screen door….let’s just say there was an incident late last Fall between a person and the screen door, and the screen door got bent and would no longer close completely. 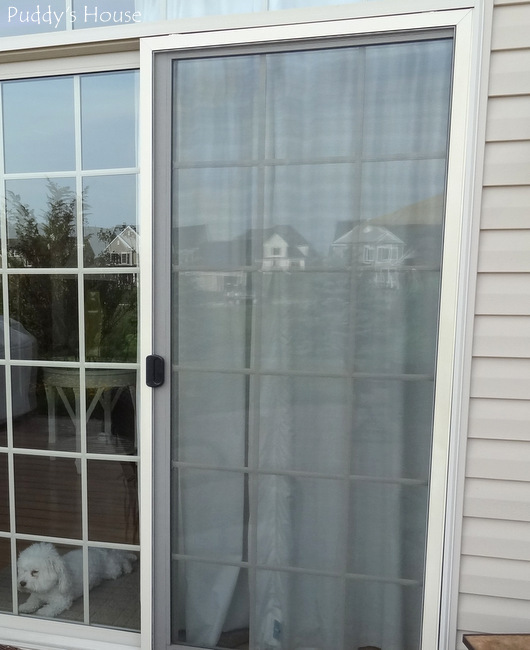 Bob and I went to Lowe’s to buy a new screen door, but we ran into the problem that none of them came in the tan color we needed. The sales associate didn’t recommend ordering one either, because he said they rarely arrive in tact; his suggestion was to paint one. 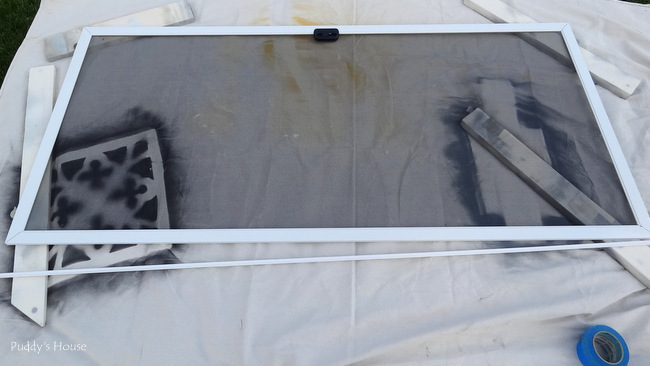 He said we could remove the screen and paint the frame and then put the screen back in. So, we bought the white one knowing I probably had some spraypaint at home that would work. I set up my drop cloth and boards in the back yard. We tested a few spraypaint colors on a piece of cardboard and found the one that matched the best. Unfortunately, that can was almost empty and when I went to get more of it, it was no longer available. I got the next best match, Almond, by Rustoleum. 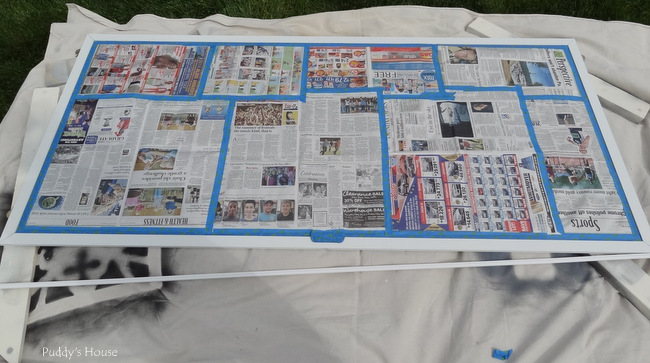 Bob and I decided it wasn’t worth the effort and risk of damage to the screen to remove it, so we covered it with newspaper and tape. I taped both sides and the handles and then sprayed. It only took one coat, which was great. We are back to having a functional screen door. It is not quite a perfect match, but you have to look closely to see the slight difference. It is not easy to take a picture of it. 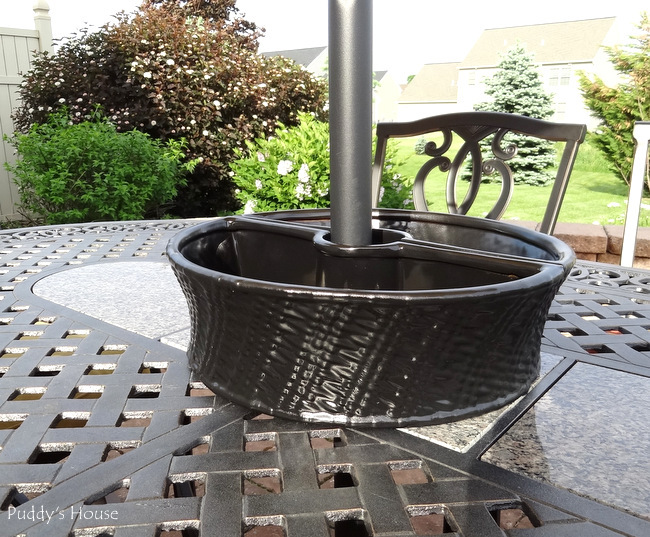 My next item that got some spraypaint love was this ceramic umbrella centerpiece. I picked it up at a yard sale late last summer for $5. The color definitely didn’t work for our patio set. 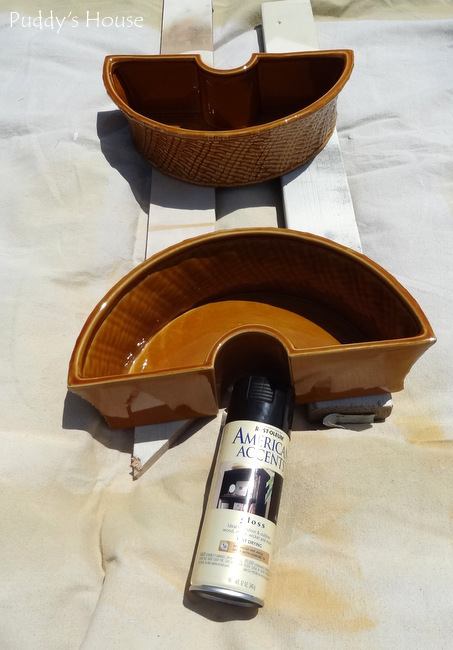 I used Rustoleum’s American Accents in Black. It covered so nicely. 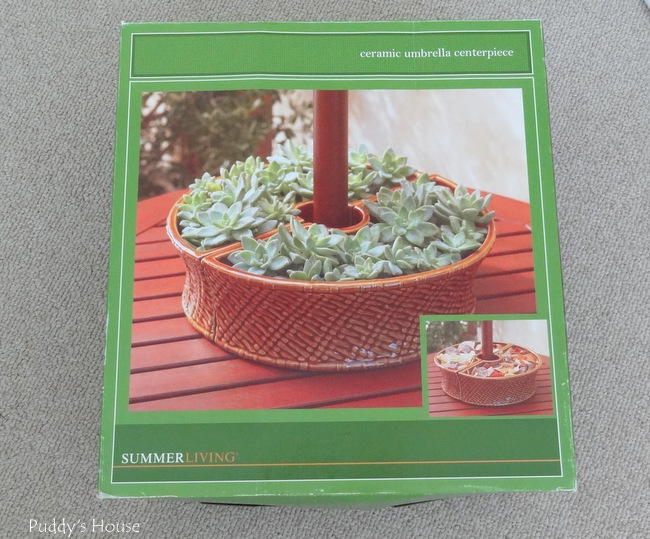 I had it set up on our patio table in no time. It does a great job of hiding the crack in the marble! 🙂 Now, the question is…what would you put in it? Candles? Plants? Since I painted it, it definitely can’t be used for food like the box suggests. I did try some candles, but mine were too tiny…I would have to get some bigger ones. 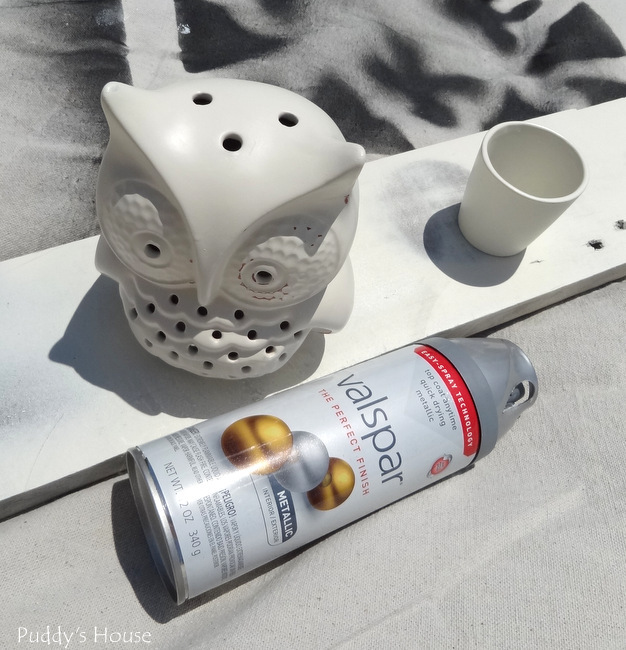 My last spraypaint victim was this cute little owl. As you can see, he only cost me 50 cents at the thrift shop. 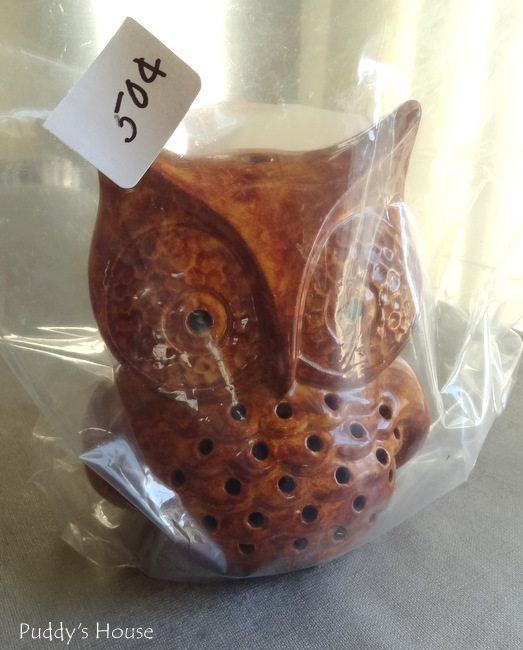 It seems owls are very trendy right now, not something I usually give in to, but for 50 cents I was all about it! First I tried to paint the owl white, but it didn’t really do anything for it. 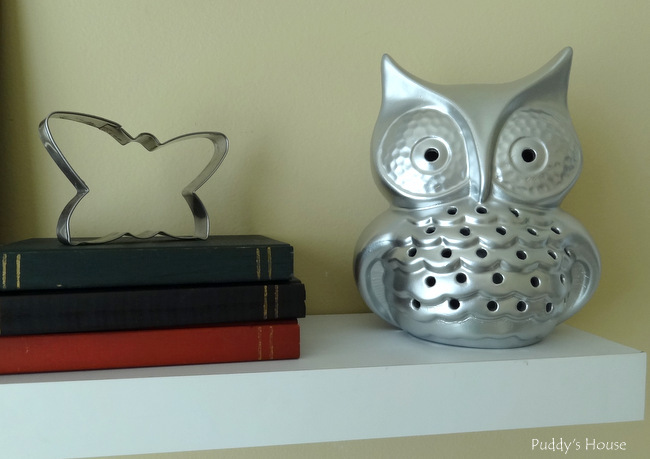 So, I pulled out this Valspar Metallic Silver from my supplies and gave the owl and the little votive holder that fits inside him a new look. I think the metallic silver is so much better than the original. He looks very cute on my craft room shelves. 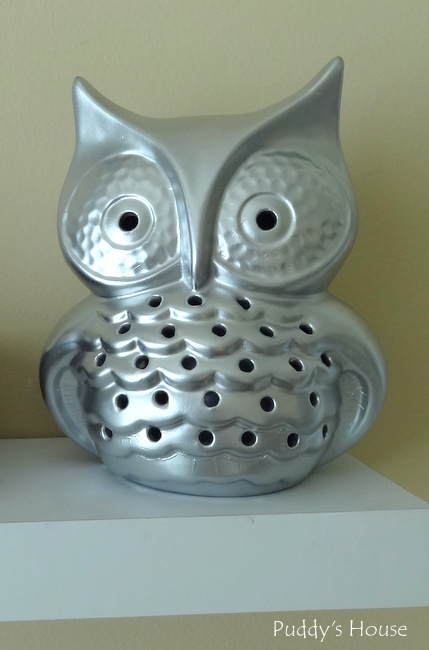 Wow, love that silver owl!! Such great projects! The screen is genius! Thanks Kim! I was so glad I’m not afraid of some paint because a white door was not going to work for us.